This morning, Apple had some problems with certain of its services. The App Store, iTunes Store, Mac App Store, Apple TV, iBooks Store, iTunes in the Cloud, iTunes Match and the Volume Purchase Program all were disabled globally, earlier today. The outage lasted for more than an hour, but we can now tell you that all systems are go according to the Apple Support System website. The website showed that Apple's store services were down from around 10am EST today, to 11am. According to Apple, "Users may have been unable to access multiple stores/services or make purchases." In addition, some iCloud services were part of the outage. Apple cautions that "New and recently changed content may not have updated across devices for iCloud Drive, Backup, iCloud Notes, iWork for iCloud, and Photos. Users may also have been unable to use multiple services at iCloud.com." If you wanted to back up some data this morning, you might want to repeat the process just to be safe. 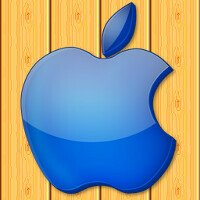 Did you have some issues with Apple's online stores or its cloud based services this morning? The good news is that there is nothing wrong with your iPhone or iPad, and you should be good to go right now. If you are still experiencing problems, let us know by dropping your comments in the box below. What some of you fanboys don't realize is that competition is actually good for us. Without Apple, Google could go easy with Android. Samsung could go easy with their devices. Competition forces each one to try and beat the others. But without apple. Does android innovate? NO! They've wait till apple reveals new tricks or improved technologies like that 3d force touch display, siri, or the fingerprint sensor on the home button. And since apple is almost 3 years in 64 bit environment. Does android have fully moved to 64 bit? The only thing they've done is support 64 bit chipsets. While The OS and apps stayed in 32 bit. Billions of dollars and those services go down? Interesting. Billions of dollars and can't even update their phones on time? Interesting. If you consider yourself a tech person then you should reconsider that. No matter how good a company is, there will always be some downtime; whether voluntarily or involuntarily.